Parkinson’s disease (PD) is an idiopathic disease caused by necrosis and apoptosis of dopaminergic cells in the brainstem, which are probably induced by oxidative stress. Current therapeutic strategies comprise symptomatic and restorative treatment. Neuroprotective treatment, however, is close to becoming reality. As neuroprotective therapy may be of particular benefit to the preclinical and/or very early PD patients, identifying patients in the early stages of the disease is a priority. 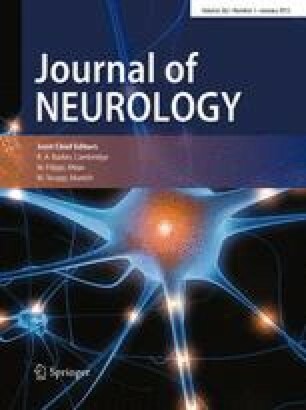 Both [18F]dopa positron emission tomography (PET) and [123I]β-CIT single photon emission computed tomography (SPECT) imaging may be useful tools in diagnosing early (preclinical) PD. As screening the whole population for preclinical PD is not realistic, one has to select subjects with a high risk for this disease. Olfactory disturbances, subtle neurocognitive dysfunction, visuomotor control abnormalities and, to a lesser degree, mood and personality disorders, have lately been suggested to precede or accompany early clinical motor hallmarks of PD. In an epidemiological study, 500 first-degree relatives of PD patients were assessed for these signs and symptoms, and [123I]β-CIT SPECT was performed on patients in the top 10% and the bottom 10% with regard to sense of smell. In this report, the study design and initial data from this ongoing study will be presented.